The St Barths Bucket has a placeholder on many calendars within the North Sails network. 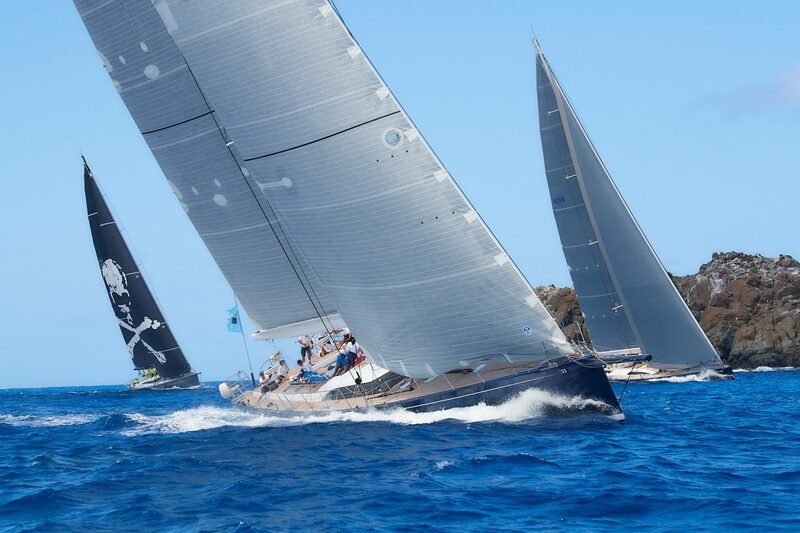 This annual superyacht regatta is a ‘must do’ for more than just its tropical location. The Bucket is considered one of the most Corinthian events of the superyacht circuit, mixing great sailing with a casual vibe that is enjoyed by owners, their guests and the crew who help sail these modern superyachts. 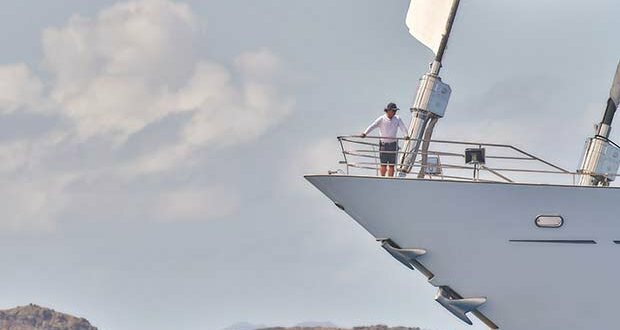 Taking our cue from the event, North Sails is onsite (and onboard) to make sure all 36 yachts taking part in the 2019 St Barths Bucket are race ready throughout the four-day event. Palma-based Superyacht expert, Quinny Houry will be sailing on Missy, an MM330. We called Quinny in advance of his trip to collect his thoughts on the 2019 event, and why, the Bucket has a place in Quinny’s schedule since 2003. Quinny, set the scene for those of us who have not been to the Bucket before. The St Barths Bucket is the Corinthian Superyacht event of the modern era – a mix of owners, pro sailors and guests onboard all the boats. The owners are very comfortable to bring their boats because they’re with friends. For the pro sailors, it’s just an amazing place to be out on the water. The island lends itself to ideal superyachts racing, and also the infrastructure to support an event this size. Anybody who loves sailing, and gets an opportunity to do the event, should. The Bucket is similar to a golf Pro-Am tournament because although there’s competition, and you have some of the best sailors in the world, everyone on the water is having fun too. The most amazing thing about the racing is you’ll have an America’s Cup helmsman, and Olympic gold medalist sailing on your boat; it’s the equivalent is being able to go around a Grand Prix track with Lewis Hamilton driving your car. Owners really see the potential of their boat, whereas when you’re cruising it, you don’t see the potential because you don’t have world class sailors sailing it. When I’ve sailed with Shirley Robertson, who’s won two Olympic gold medals, and she’s on the boat giving the debrief, the owner is sitting there listening to her give her views on the race you’ve just had and they really feel part of it. It is an amazingly unique event. The 2019 entry list has 36 superyachts signed up. Knowing the scale of these yachts, 36 seems like a massive number. How do the event organizers manage traffic on the start line and around the race course? 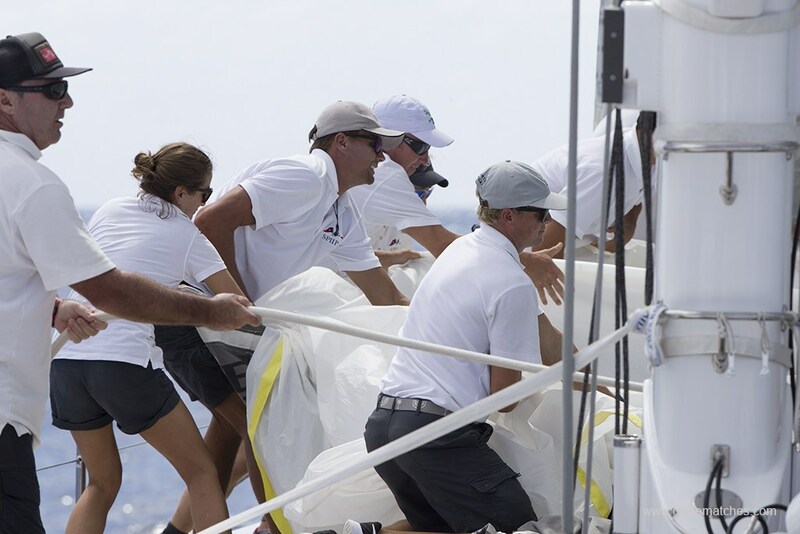 The superyacht racing rules are written for the safety of the boats and their crew. There are two things; one you don’t have a fleet start, so there’s only one boat on each start, and then you have a 40-meter rule – which means that if you go within 40 meters of another boat, it’s considered a collision. That said, 40-meters is essentially a boat length and exceptionally close in real life when you’ve got 200 tons going towards another 200 tons! But there is also respect and an understanding that this is a Corinthian event. So the racing, although hard, it’s still comfortable, and there are different levels of participation. Some people push quite hard but the majority enjoy sailing around the island seeing how they fare against other similar boats. North Sails has set up a pop-up service loft for the past few years. What does this level of support mean for our clients and the event? In the old days the local sailmaker would bring his sewing machine down to the dock, and then guys like me would work all night getting a sail fixed. But the reality is that since putting the service facility in, with everything being in one place and organized, it has made it a much nicer experience for the owners and boat captains. One of the great things about North Sails is that it’s big enough that we have the resources to put a pop-up service loft on the island for the event. If you imagine the logistics of putting in a service facility that can deal with sails that weigh over 200 kilos, it’s no easy task but we really believe it gives our clients the best possible service. North Sails is really the only company that has the horsepower to be able to do that, and we are proud to offer it to our customers.